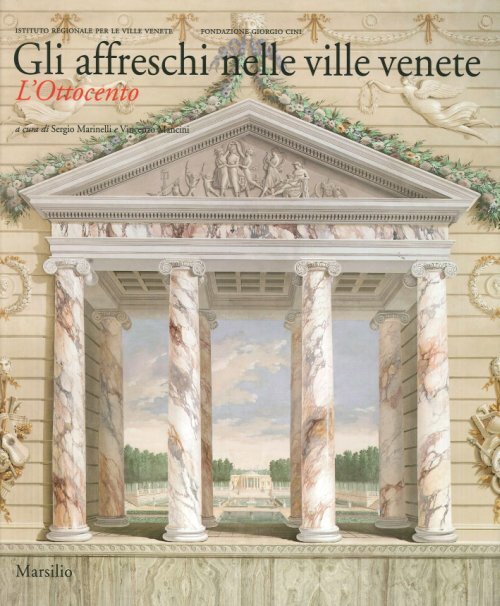 Continuing the collaboration between Istituto Regionale Ville Venete and the Institute of Art History, this book addresses the subject of 19th-century villa decorations in Northeast Italy, which mainly turned out to be previously unpublished. Far from the decline of the genre, what emerges here is a highly original, independent figurative culture, albeit in a deliberately “minor” atmosphere, as is illustrated by the lavish catalogue of over 300 entries. Here the role in previous centuries played by triumphant quadrature gives way to abstract geometric ornamentation, playful trompe-l’oeil and decors with papiers peints. The notion of a clear-cut boundary between grandiose decoration and furnishing becomes blurred. But within this system, we still find many masterpieces – at times in the highest form – by period artists, such as Caffi, De Min, Milesi and Favretto.